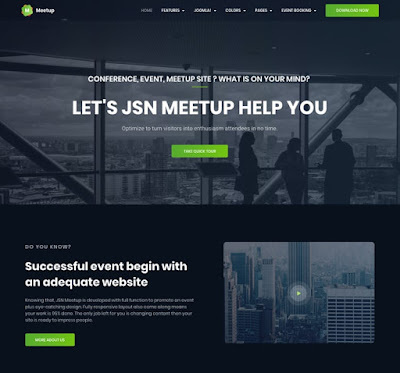 JSN Meetup is a template to-go if you want to build a Joomla conference, event or meetup site with well responsive design. 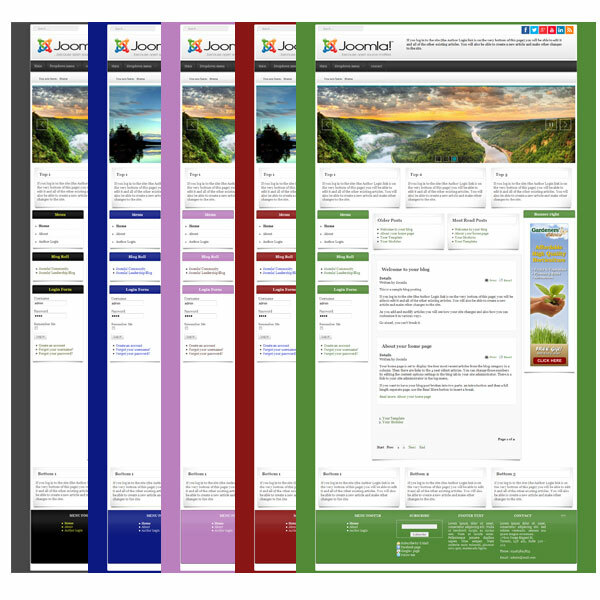 Specially developed with a robust event management extension, you can easily display event information with stunning design to increase user experience. 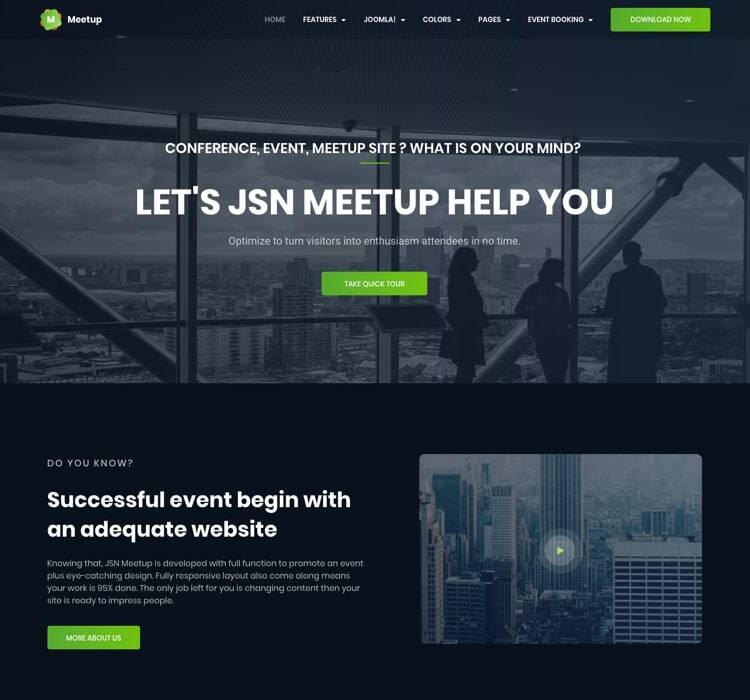 Therefore, JSN Meetup will no doubt increase the chance of filling all your seat.